Hey everyone! I just made the best decision of my life! 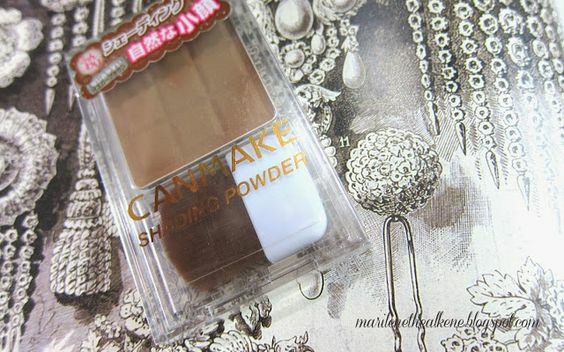 I finally got myself CANMAKE's Shading Powder and Highlighter powder! No, I was not paid to do this or write about this. And I paid for my own makeup as you will see later. But what makes me so happy is that for the longest time I have been using all sorts of brown eyeshadow colors as contouring powder but there's always something wrong. 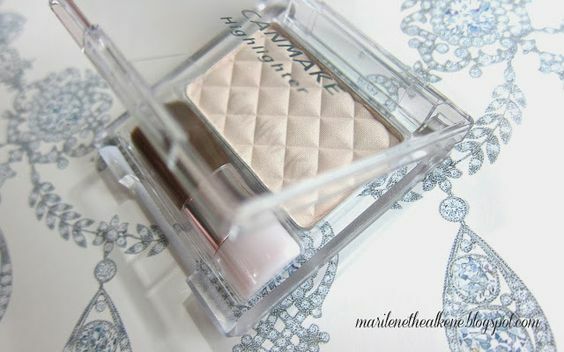 I used to use this brown eyeshadow I got from Hong Kong, at Argyle center, but it was too red. Then I started using NYX's bronzer for contouring. The product is good in itself, as with any NYX product, but well my face had a healthy bronze line on my nose bridge. Ha ha ha. And then I tried this ash gray color that Suesh sells. Well, it doesn't look so red or so shiny anymore, but i ended up looking dirty. It looked like soot on my face! A good example is my Kim Kardashian makeup experiment, even if I think the eye makeup was fine, my nose looked horrible, and there was pretty much nothing I could do about it! If I reduced the eyeshadow, my nose would look too pale relative to my face. On the other hand, if I added more color, my face would look even dirtier. Either way it won't lead to something good so I left it as is. 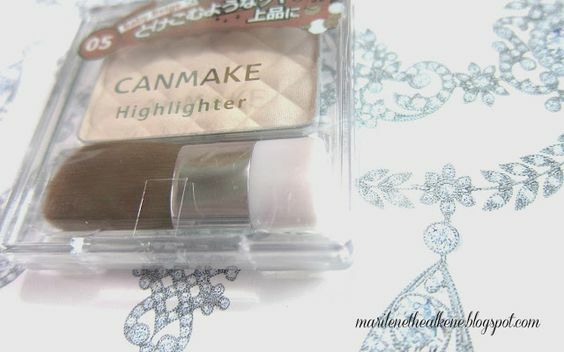 So now, lo and behold, I now have my own CANMAKE Highlighter! Yipee! This highlighter is 05, the baby beige shade. The other variant for this product is the pearl white one. I was thinking of getting the pearl white one, but the sales lady advised me to get this one because it looks more natural and will work better in most situations. I think the pearl white one will work well for theatre or for the evening, but I think this goes better in the daytime or under natural lighting. And as the sticker implies. I got it from SaSa in Hong Kong for 70 HKD (Php 385). 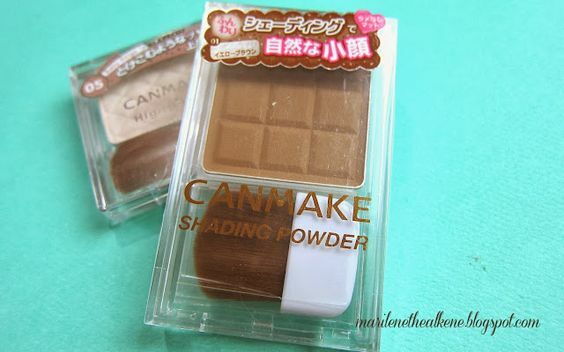 But not to worry as CANMAKE has already started beautifying girls here in the Philippines! You can get your fix here. And did I mention that it comes with a super soft brush??? I promise you that this isn't the stiff, random fiber brush that most other makeup brands come with. It comes with exceptionally soft fibers, soft enough that I am now considering applying this product to babies' faces hahahah. And this is my shading powder. 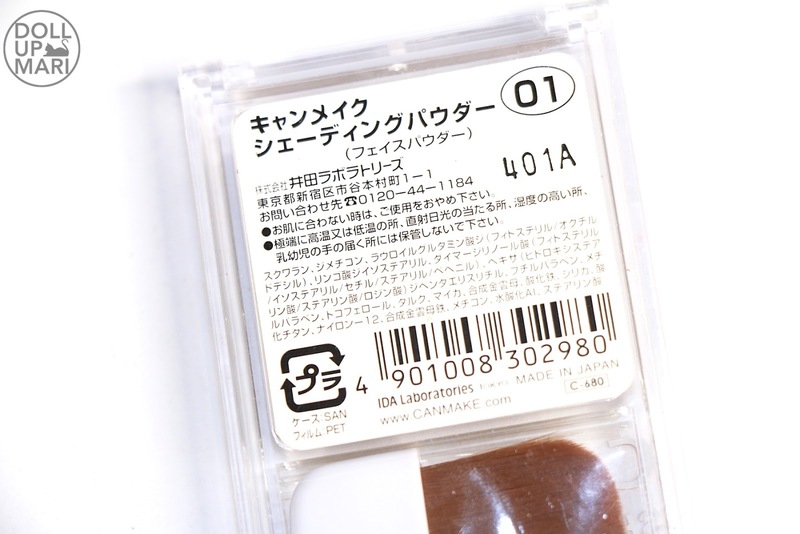 The sticker on the top says that it provides a matte finish, with no pearlizing powders, to help create a naturally smaller face (my Japanese isn't the best, but that's more or less what it said tee hee). Easy, Simple, add glow and depth to your face. Comes with easy carry 100% horsehair brush. One swift stroke to complete your finished makeup! Micropowder type smoothly blends, never gets gummy. Correct your skin color, keep a healthy glow and bright transparency all day. And I got it for 88 HKD (Php 484). A bit pricey given that it would cost just about 340-350 pesos if I bought it in Japan, but meh, I think that plane tickets to Japan would cost more, and this is a good product that it's worth it to invest in it! 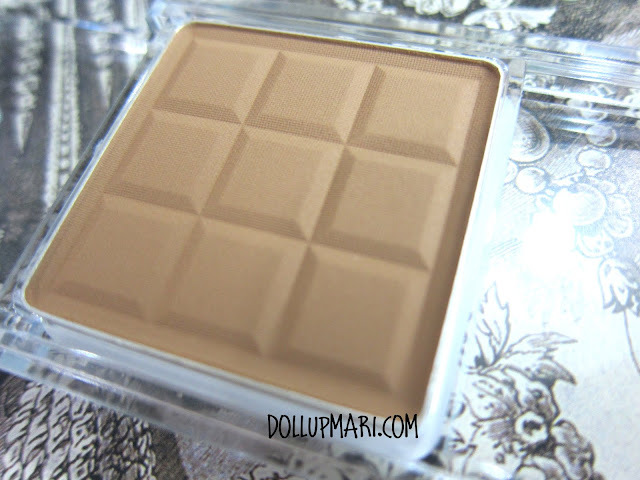 As for the pigmentation, I think it's at the same level or even better than Makeup Forever's shading powder... 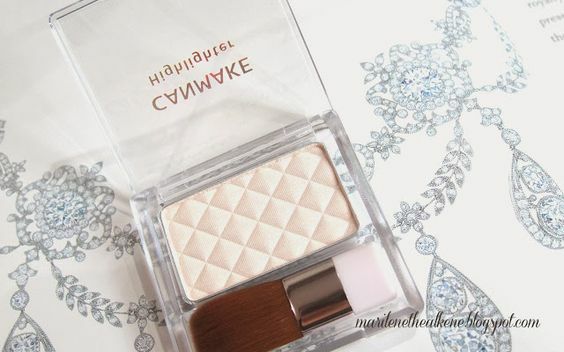 It's not coarse, and at the same time not too pigmented that it will go on too darkly on your skin..
And like the highlighter it also comes with a super soft brush of its own! I am really convinced now that I can do makeup on babies using these brushes hahaha. It seemed impossible, but it's here! A special powder for shading! With a quick sweep of the brush, you can make your face look smaller and more beautiful. Creates a soft-focus effect that beautifully highlights the shadows of of the lines of the face. Contains a soft-focus agent that uses the diffuse reflection of light to create a pore-less complexion that won't become dull easily. Comes with a pliable nylon brush that is easy to use on the lines of your face abd convenient to carry in your makeup bag. I can't translate it too, sorry. 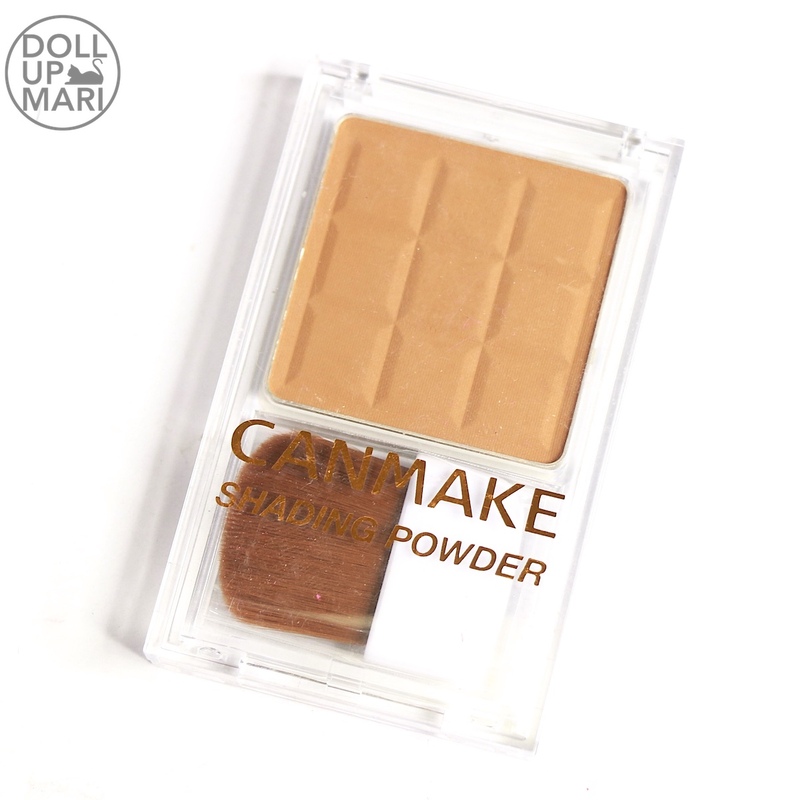 With CANMAKE's shading powder and highlighter powder, this is now my before and after photo.